Do you know AIDA? I had the pleasure to introduced to AIDA several years ago (it must be more than 20 years now. Well, time do fly!) and it never disappoint me! It, I said? It! Yes, is not wrong! Not wrong at all. Or the act of my crazy spell-checker! You see, AIDA is not she, is it! 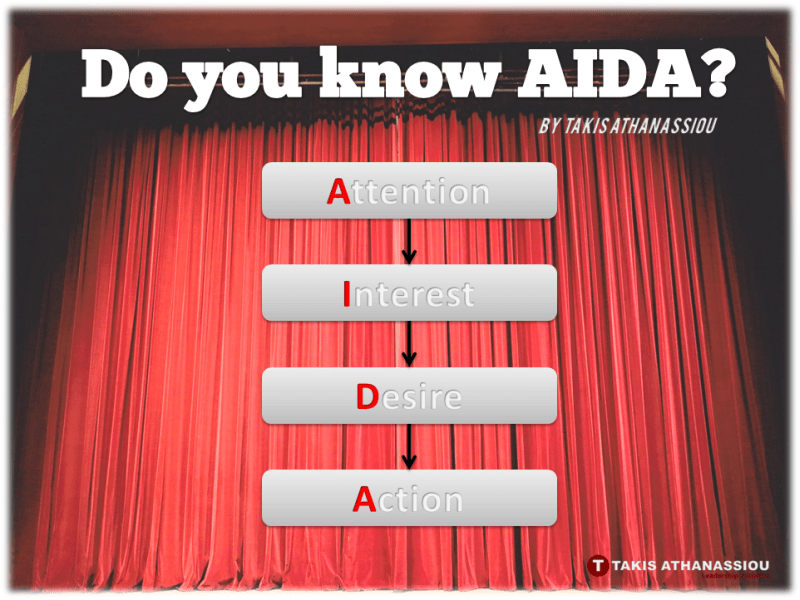 AIDA is a powerful technique and an acronym used widely in marketing and advertising, to describe the ways a viewer or reader engaged to an advertisement or to an event! So, Do You Know AIDA? A – Attention (Awareness): Aims at drawing the attention of the potential customer or reader to your cause, product/service, etc. It usually expressed as a very catchy headline or a very elaborate mixture of a well-shot picture, coupled with some powerful pitch! I – Interest: Aims at raising the interest of the reader towards your objectives, and direct him/her towards doing something! It is expressed usually with a very catchy and interest gathering lead paragraph, explaining the problem and offering a solution! D – Desire: Aims at persuade customers on the logic or the validity of your claims, to channel them to favor your offer and convince them that your solution is what they want. It practically aims at reassuring the sale, elicit the agreement, etc. of the other part, and diminish his/hers objection. Usually, in an advertisement, it is express by the logical argumentation of the offering, and the testimonial(s) of its usefulness. A – Action: Aims at make the viewers or reader to do something towards you objective, as purchasing something, do something else (as provide some feedback, fill in a survey, provide like in social media or provide their e-mail), etc. 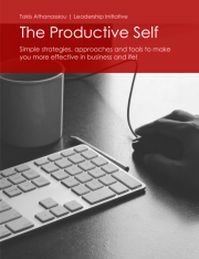 You can use AIDA for writing more effectively and attract attention towards your products, goals, objectives, causes, or simple, toward a direction you think will help your readers. Writing professionals can be benefited the most from such a model of writing! Subject: [Attention] – Save 50% of your grocery shops! [Interest Paragraph] – Today there is never enough time for shopping and the grocery list becomes more and more expensive! What you can do about it. Usually, you select what you buy and remove a lot of the thing you think as not suitable or too much expensive in order to reduce your cost. Not anymore! Today there is an alternative solution! AIDA is a powerful technique, polished for a long time to be effective! AIDA is used in many cases when you want to raise the interest of a reader, customer, etc. It has been used successfully in marketing, blogging, e-learning, branding, advertising, platform building, business letters, sales, marketing letters and communication, e-mails, etc. Writing professionals can be benefited the most by the AIDA model of writing! Take a look and check how you can use AIDA in your business!